Students at Taupo-nui-a Tia College have always been encouraged to extend their learning beyond the class-room. 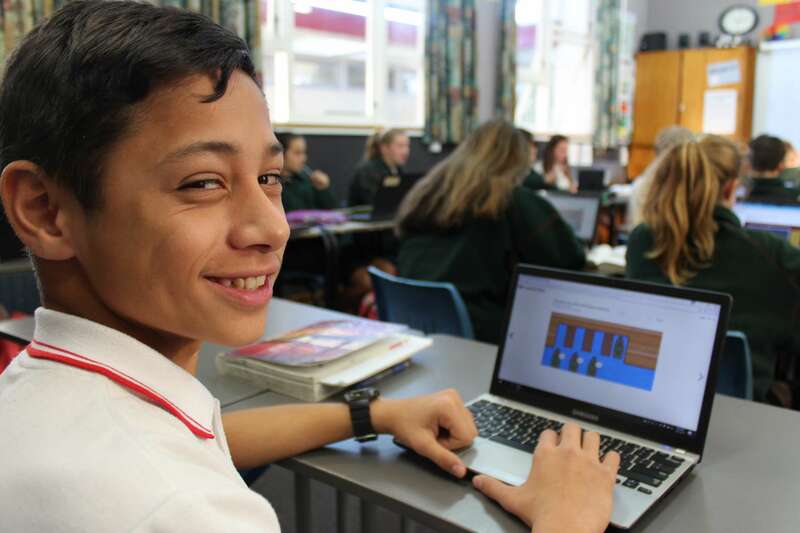 In 2015, Taupo-nui-a-Tia College became a Google Apps For Education (GAFE) school - a student learning platform that enables teachers and students to collaborate and integrate learning. Our Blended Learning approach couples quality teaching with digital technologies in the classroom to open up new and different ways of learning. Teachers have been involved in a wide range of professional learning over recent years assisting in their personal development or empowering them to become facilitators of learning inside and beyond the classroom. The commitment to blended learning has seen the school take a careful and well informed approach to this new style of learning and teaching. With our commitment to e-learning, teachers are engaging and evaluating their practices with learning opportunities tailored to students’ interests and individual needs as well as improving their engagement and achievement.